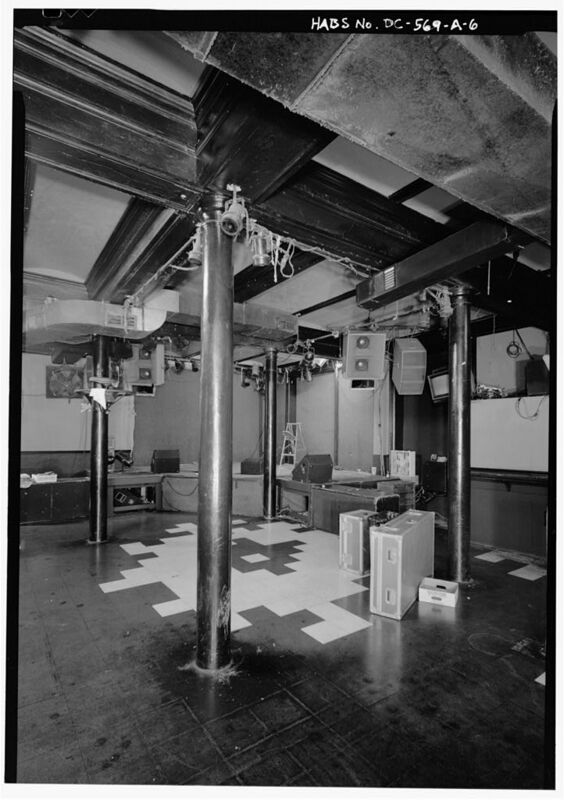 The 9:30 Club as you know it today- an award winning, freestanding venue just north of U Street- wasn’t always on the corner of 9th and V NW. As a less-than-five-years-category newbie to DC, I’ve been to a couple dozen concerts at the 9:30, but didn’t know much about its history (including its mysterious tower). The place is built on the personalities and values of its staff as well as the artists it hosts, but I wanted to learn more via the building it inhabits. 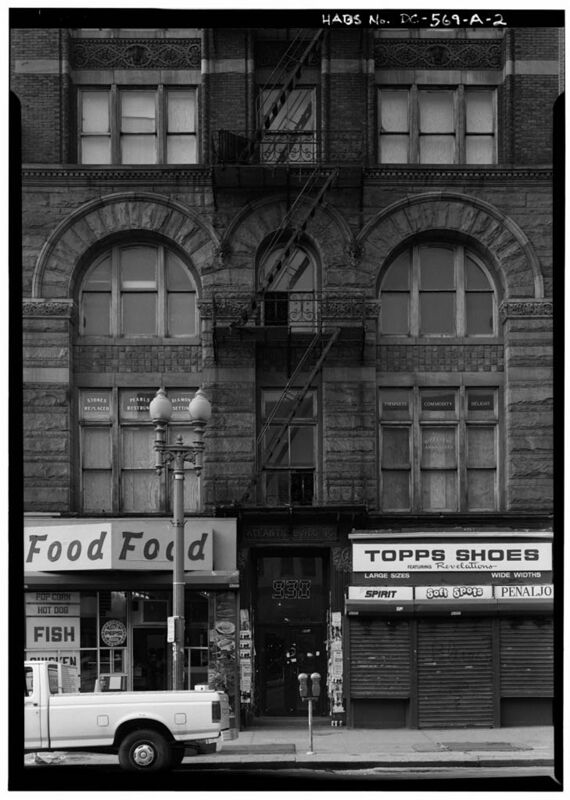 From 1980 to 1995, it occupied 930 F St (which reopened as a J. Crew in 2012; current iteration unknown). The club moved into its current brick building then. It has kept up nightly rock-n-roll wonder and mystery since, and without windows, only a patron may enter and know its music. This point of view is available because of the demolition of its neighbor, the former Atlantic Plumbing Supply Company. 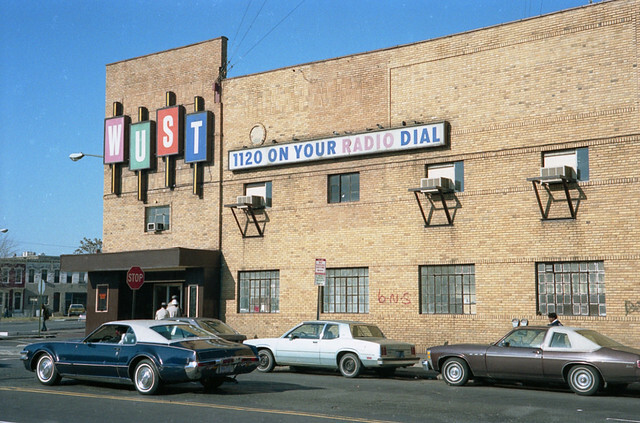 The 9:30 Club building was also host to the 1949 club Duke Ellington’s, then WUST Radio Music Hall. (Fun fact: During its tenure as WUST, the building acquired a sweet hair dryer for James Brown.) The current 9:30 Club keeps its intimate small-venue-feel by using a rolling stage that accommodates the ticket sales for the evening (let me link again to this fabulous Washington Post mini documentary). Of course, as a Washington insider, you have attended a show. But if you haven’t, you know what to do.